The Air Jordan 1 has released in all kinds of colorways and variations this year, and August is no different. This week, we have our first look at the tonal three-part “Swoosh” Jordan 1 pack releasing around the world next month. 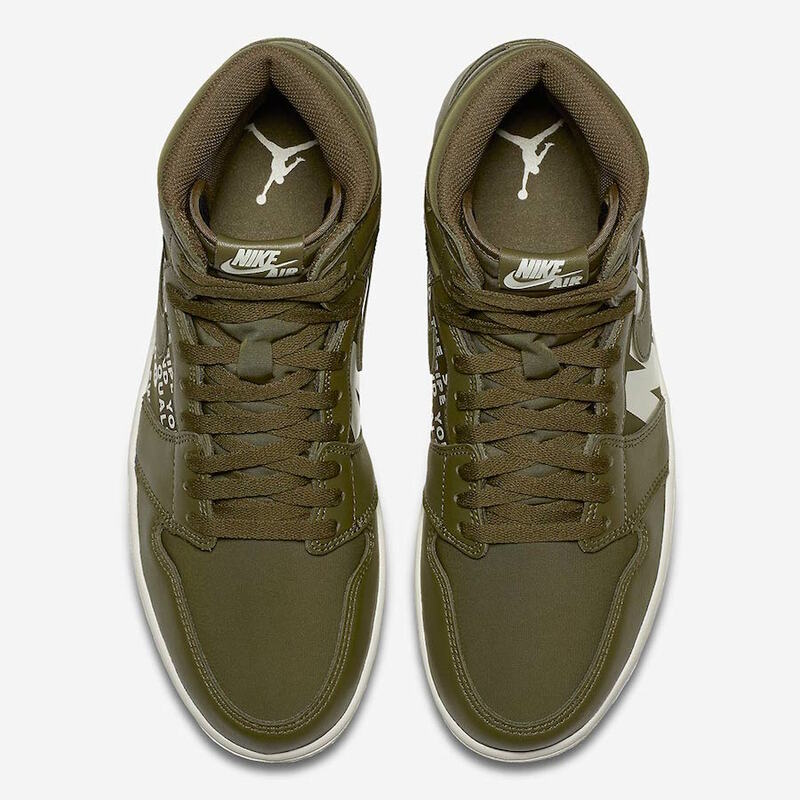 The Air Jordan 1 “Swoosh” pack pays homage to the Jordan 1’s roots with Nike. The typical shape and layout of the shoe are the same, save for the canvas material used on the tongue and side paneling. Additionally, these canvas panels feature a graphics display that completes the shoe. 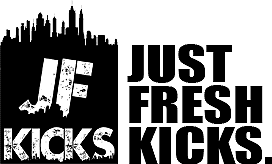 On the left side of each shoe, large NIKE block letters can be seen tucked behind the Swoosh, while the other side features a paragraph from a Nike copyright. 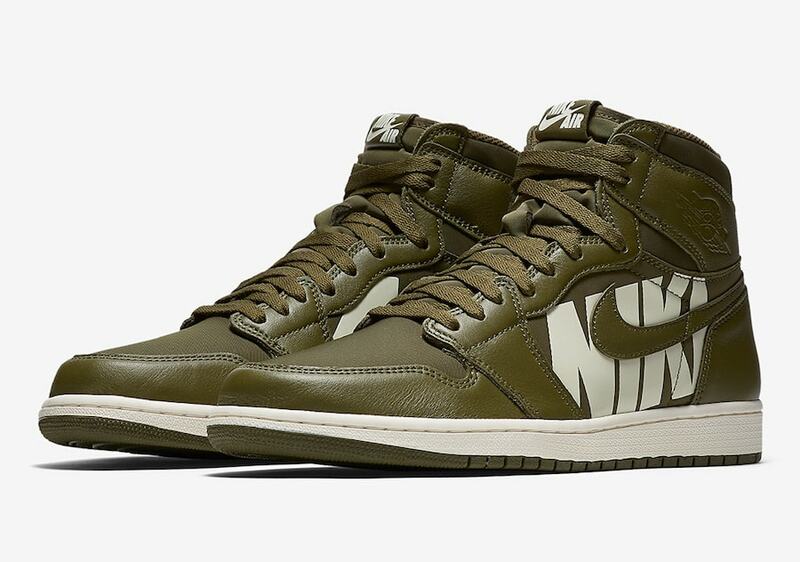 The new Jordan 1 pack will release in three tonal colorways: Olive, Coral, and Guava Ice. However, unfortunately for collectors, the colorways are regional exclusives. The clean Guava Ice colorway is reserved for North America, Latin America, and the Asian Pacific, while the Olive colorway will drop only in China, Latin America, and the Asian Pacific. Finally, the Coral hue will be limited to Europe, Africa, and the Middle East. 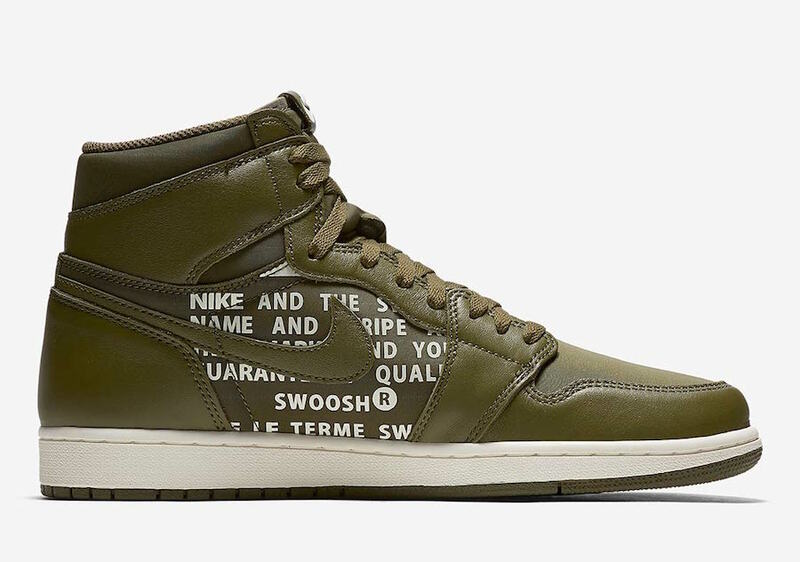 The new Air Jordan 1 High OG “Swoosh” pack is scheduled to release on September 1st, 2018. 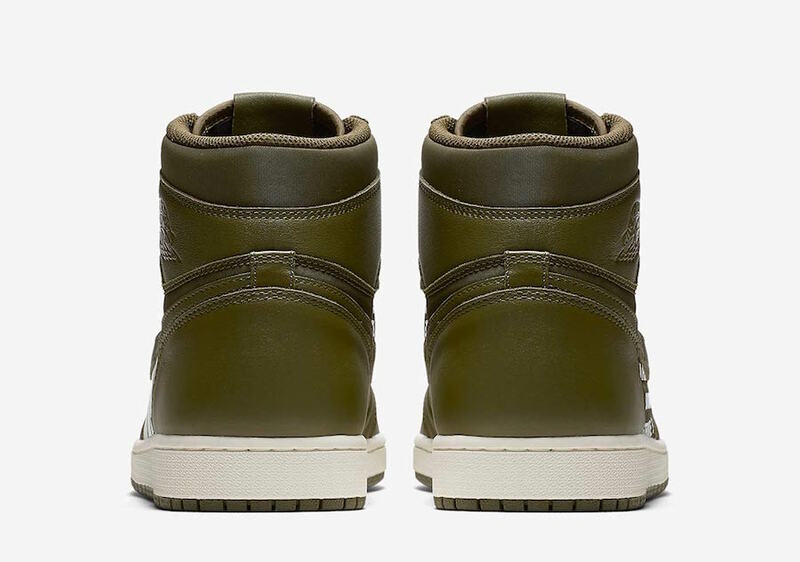 As usual, the Jordan 1 High will retail for $160 from both Nike and select retailers. 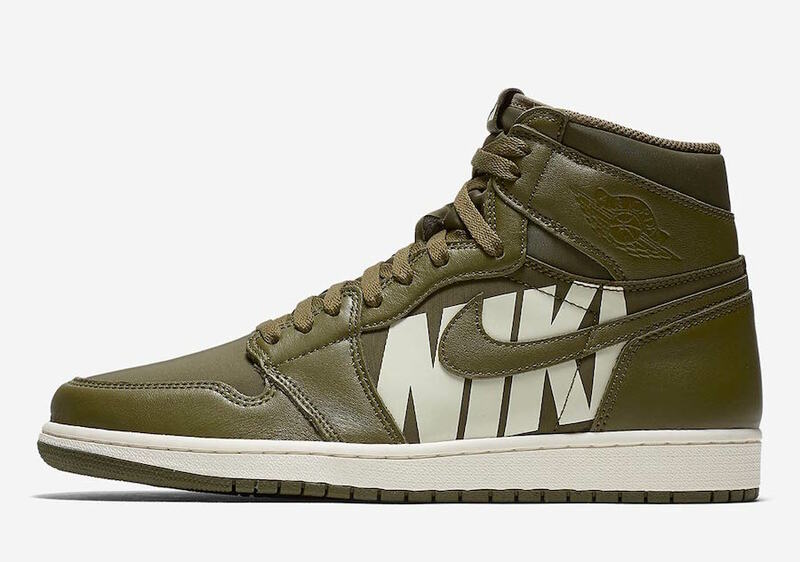 Check out the official images of the Olive colorway below for a better look, and stay tuned to JustFreshKicks for more Air Jordan release news.